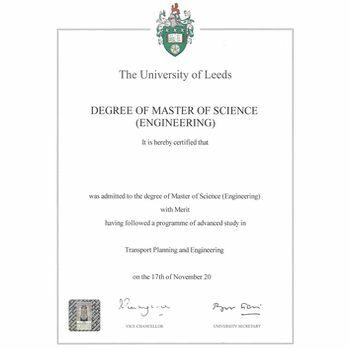 If you want us to legalise a copy we will still need to see the original degree certificate. Alternatively we can verify the copy by contacting the issuing university to verify the copy is accurate. This will incur a verification fee which can be purchased here in addition to the apostille fee. How to order an apostille for your degree certificate? Simply purchase your apostille online and post your document to us. This is normally the quickest way to obtain the apostille. The verification of degree certificates can take between 1 to 4 weeks depending on the university that issued the document. Due to the increased costs and administration we incur the fee for this service is £100 per document. 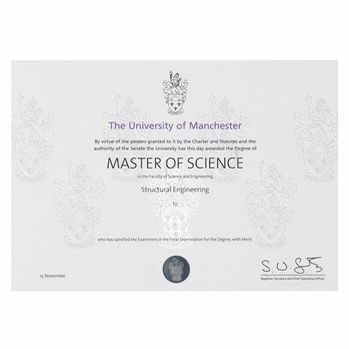 If you need your degree certificate legalised quickly we recommend you post the original certificate to our office with the order form. If the university do not respond to our enquiry we may still need to request the original documents are sent to us by post. Unfortunately some universities can take several weeks to respond to enquiries.